In Deepest Secrecy reveals how the Dutch submarines followed, photographed and listened to Soviet ships unnoticed, from the freezing Arctic Ocean to shallow waters near Egypt. But the book also gives the reader a rare insight into operations of diesel electric submarines during the Cold War and life on board these on board these subs. 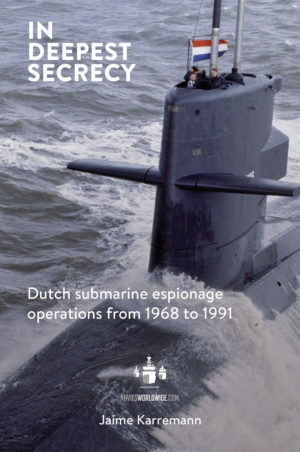 During the Cold War, six Dutch submarines secretly gathered intelligence about the Soviet Navy. Only a handful of people outside the Royal Netherlands Navy were aware of these operations, as they were not NATO operations. For the first time, In Deepest Secrecy describes these top-secret deployments in detail. 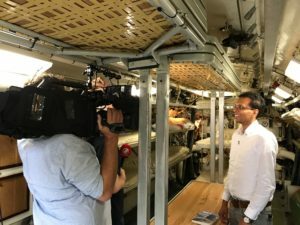 On the basis of interviews and archival research, Jaime Karremann reveals how the Dutch submarines followed, photographed and listened to Soviet ships unnoticed, from the freezing Arctic Ocean to shallow waters near Egypt. In Deepest Secrecy is a book about people, boats and, above all, the underwater adventures that have never before been made public. The book received a lot of media attention in the Netherlands. 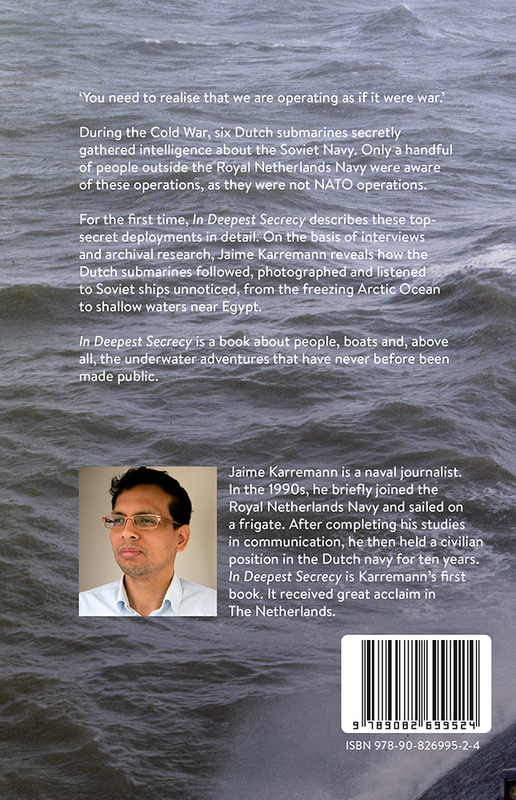 Jaime Karremann, born in 1978, is a naval journalist. In the 1990s, he briefly joined the Royal Netherlands Navy and sailed on a frigate. After completing his studies in communication, he then held a civilian position in the Dutch navy for ten years. In Deepest Secrecy is Karremann’s first book. It received great acclaim in The Netherlands. In November 2018 he will publish his first submarine thriller in The Netherlands.